The extent that you participate in the growing green movement is a personal preference. There are so many different ways to contribute to saving the planet. The more savvy you can be about products/services you use, the better. Today is the day you can start by changing 5 things in your life, then adding more next week until you find yourself as green as you can be! 1. Avoid ozone-depleting chemicals in mechanical equipment and insulation. CFCs have largely been phased out, but their primary replacements—HCFCs-- also damage the ozone layer and should be avoided where possible. Reclaim CFCs when servicing or disposing of equipment and, if possible, take CFC based foam insulation to a recycler who can capture CFCs. 2. Use durable products and materials. Because manufacturing is very energy-intensive, a product that lasts longer or requires less maintenance usually saves energy. 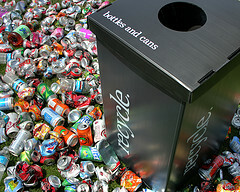 Durable products also contribute less to our solid waste problems. 3. Choose low-maintenance building materials. Where possible, select building materials that will require little maintenance (painting, re-treatment, waterproofing, etc. ), or whose maintenance will have minimal environmental impact. 4. Choose building materials with low embodied energy. 5. Buy locally produced building materials. Transportation is costly in both energy use and pollution generation. Look for locally produced materials to replace products imported to your area. 6. Use building products made from recycled materials. Reduce landfill pressure and save natural resources by using salvaged materials: lumber, millwork, certain plumbing fixtures, and hardware, for example. Make sure these materials are safe, and don’t sacrifice energy efficiency or water efficiency by reusing old windows or toilets. 7. Use salvaged building materials when possible. Make sure these materials are safe (test for lead paint and asbestos). Don’t sacrifice energy efficiency or water efficiency by reusing old windows or toilets. 8. Seek responsible wood supplies. Use lumber from independently certified well-managed forests. Avoid lumber products produced from old growth timber when acceptable alternative exist. Engineered wood can be substituted for old growth Douglas fir, for example. Don’t buy tropical hardwoods unless the seller can document that the wood comes from well managed forests. 9. Avoid materials that will off gas pollutants. Solvent based finishes, adhesives, carpeting, particleboard, and many other building products release formaldehyde and volatile organic compounds into the air. These chemicals can affect workers’ and occupants’ health as well as contribute to smog and ground level ozone pollution outside. 10. Minimize use of pressure-treated lumber. Use detailing that will prevent soil contact and rot. Where possible, use alternatives such as recycled plastic lumber. Take measure to protect workers when cutting and handling pressure treated wood, and never burn scraps. Avoid excessive packaging, such as plastic-wrapped plumbing fixtures or fasteners that aren’t available in bulk. Tell your supplier why you are avoiding over-packaged products. Keep in mind, however, that some products must be carefully packaged to prevent damage and resulting waste.